Sometimes the biggest mystery to solve in Hollywood is why performers aren’t always properly credited for their noteworthy and important work. Film noir starlett Virginia Lee is one such actress who wasn’t honored for one of her most famous roles for almost seven decades. But now the star’s pivotal role of Jeannie in the infamous bar scene in the 1950 noir classic, ‘D.O.A.,’ is officially being credited. Webb’s movie is set to have its American premiere on March 23 at 6pm at The Museum of the Moving Image in New York City, as part of The Queens World Film Festival. The premiere will feature a special introduction and Q&A that will be led by 2018 Oscar-nominated director, Yance Ford (the documentary feature, ‘Strong Island’). 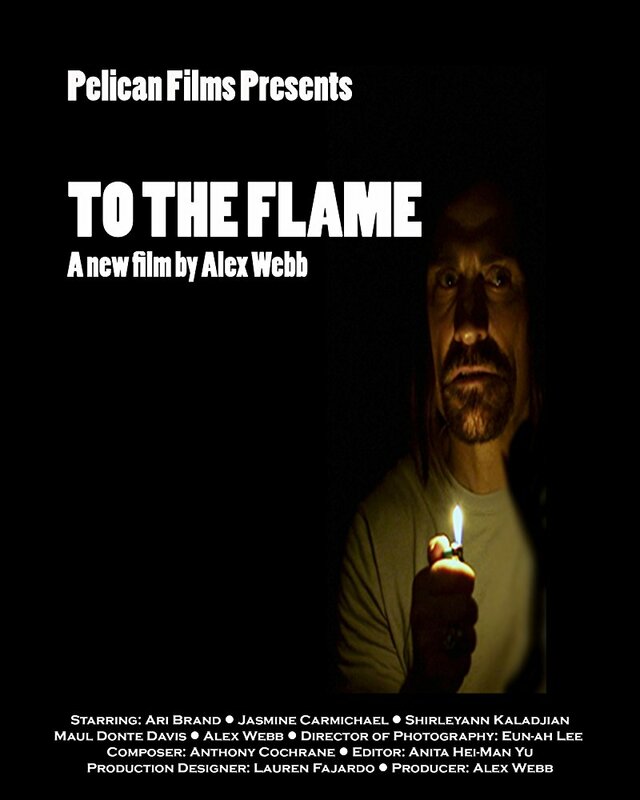 ‘To the Flame’ follows Kyle (Ari Brand), who’s going nowhere fast in his community college film class, until he stumbles upon a twisted couple while interviewing neighbors for his latest assignment. When he becomes obsessed with them, he realizes he’s made a big mistake. The new comedy-thriller features a multicultural cast and crew. In addition to Brand, ‘To The Flame’ also stars Jasmine Carmichael, Shirleyann Kaladjian, Maul Donte Davis and Webb. In addition to starring in, and making his feature film directorial debut on, the movie, Webb also made his feature film writing and producing debuts. Writer-director-producer-actor Alex Webb's comedy-thriller, 'To The Flame,' will have its American premiere at The Museum of the Moving Image in Astoria, New York City, as part of The Queens World Film Festival.